Promoting IT companies invariably means cutting through the jargon and deciphering the technology. For Arieso, we drilled down past the science to tell highly attractive stories that dominated the headlines. Arieso is an innovative, engineering-led company in a niche market.It helps mobile network operators (MNOs) address network planning and performance issues. 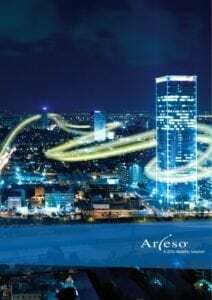 In 2011, while still a privately owned company with a few tens of employees, Arieso sought to establish basic brand awareness among Mobile Network Operators. CCgroup & Arieso developed the Hungry Handsets’ campaign, an in-house study using unique Arieso insight that revealed new trends in smartphone usage and user behaviour. We used this insight to generate awareness of Arieso among journalist and analyst influencer audiences, and even amongst new customers. We also ran a second iteration of Hungry Handsets in 2012, which focused more on lead generation, with a clear call to action to download the report so that Arieso could collect lead details. This second campaign was a greater success than in its first year, adding a TV appearance on primetime Bloomberg to over 650 pieces of coverage around the world. We drove a Twitter OTS of 2 million+ within a week. We increased report requests to more than 150 &ndash; approximately 10% of which were from potential buyers. In running the campaign for a third time in 2013, we knew that beating our previous year’s success was going to be a tall order. The challenge was to beat the ‘buzz’ from 2012, across media and social channels, and increase the number of sales leads generated. The primary target audience for the campaign was MNOs around the world. Working closely with the CTO of Arieso, we extracted half a dozen insights from its proprietary data that would teach MNOs something new about their market and industry. Following the careful crafting of messaging and a range of angles and advice for MNOs, we conducted an influencer outreach campaign in Europe, APAC and Latin America. We used an embargoed pre-briefing strategy, focusing on key trades, wires and business media that would translate and syndicate the story. We conducted 20+ briefings in three days, cherry-picking key titles in each region. We also produced an infographic to drive social media activity and amplify the story. The story was a huge success, dominating tech news headlines for days. The campaign generated coverage from 80+ original, quality business, national and trade media which used various angles but carried our key messages in more than a dozen languages. We also delivered two pieces of primetime business TV coverage (Bloomberg & NBC). We conducted 23 media briefings and our content generated 1,500 media articles (versus 650+ in 2012). The story generated more than 200 requests for the whitepaper and over 30 qualified individual sales leads in 2013. All in all, the influencer campaign delivered high value sales leads that were attributable to the PR effort. Arieso was subsequently acquired by JDSU in March 2013.